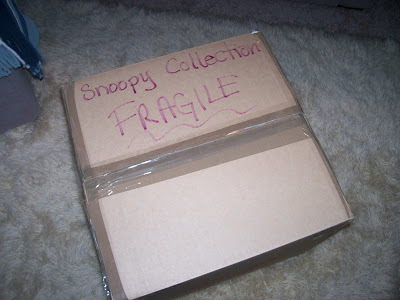 I now have THREE boxes of this size filled to capacity with Snoopy stuff. And that does not include holiday decorations that are already in boxes in my storage closet! !